Welcome to Detroit, MI II! 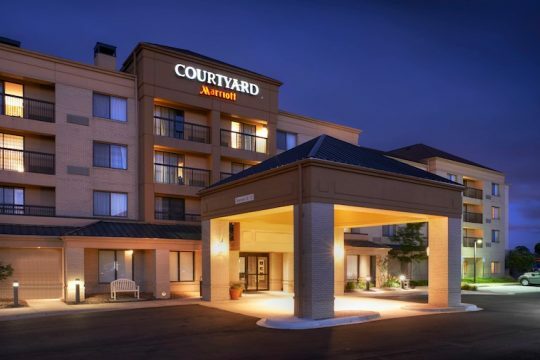 Get into a great travel routine at Courtyard Detroit Novi, offering spacious accommodations and modern amenities for the needs of today’s traveler. Save on data usage and enjoy free Wi-Fi, available through the hotel. Our lobby features plenty of places to convene with colleagues or relax in private media pods with flat-screen TVs and personal remote controls. Before or after a day on the town, stay energized as you choose from a variety of breakfast and dinner offerings at The Bistro – Eat. Drink. Connect. and enjoy coffee and cocktails at The Bistro Bar, unique among Novi, Michigan hotels. When it’s time to retire, unwind in updated guest rooms and suites boasting modern design, luxury Marriott bedding and ergonomic work spaces. Professionals can take advantage of our on-site business services and host successful events in our flexible meeting room. From the multifunctional lobby to the renovated guest rooms and suites, Courtyard Detroit Novi offers a new take on travel. 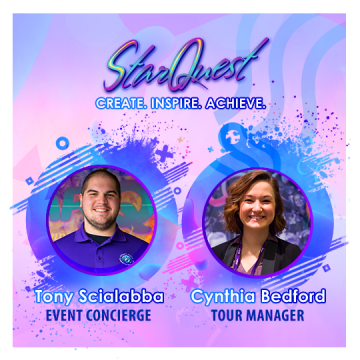 OR call Reservations (800-321-2211) and let them know you’re with the “StarQuest Dance Friends & Family” group!